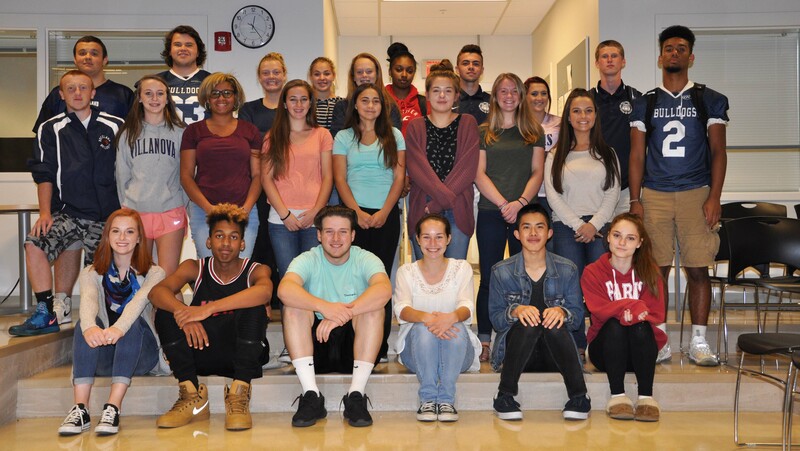 Veritas Staff: Front row: Veritas Editors: l to r: Jasmin Morse, Jayden Libby, Joe Taft, Sophie McLellan, Sean Vo and Shawna DeWolfe 2nd row: l to r: Joshua Thompson, Meaghan McDonough, Jaylen Haltiwanger, Erin Kearns, Brooke Kimball, Samantha Nachtman, Grace Laplante, Maria Fiore, and Julian Tarpey-Thomas. Back row: Austin Woods, John MacDonald, Brittany Keefe, Maddie Gear, Juliana Smith, Jayanna Holliman Parham, Jake Lauria, Rylee Kimball and Liam Lenihan. Missing from photo is Lucas Freitas. The Journalism Class has been working hard to produce the first edition of the Veritas. Senior Editors in Chief are Sophie McLellan and Sean Vo. Senior Joe Taft is in his second year as the Veritas’ sports editor. These seniors are sure to provide leadership in fostering excellence for our student newspaper. You may contact our editors via email: svo2017@rocklandschools.org, smclellan2017@rocklandschools.org, or jtaft2017@rocklandschools.org. We welcome your comments, suggestions and ideas. 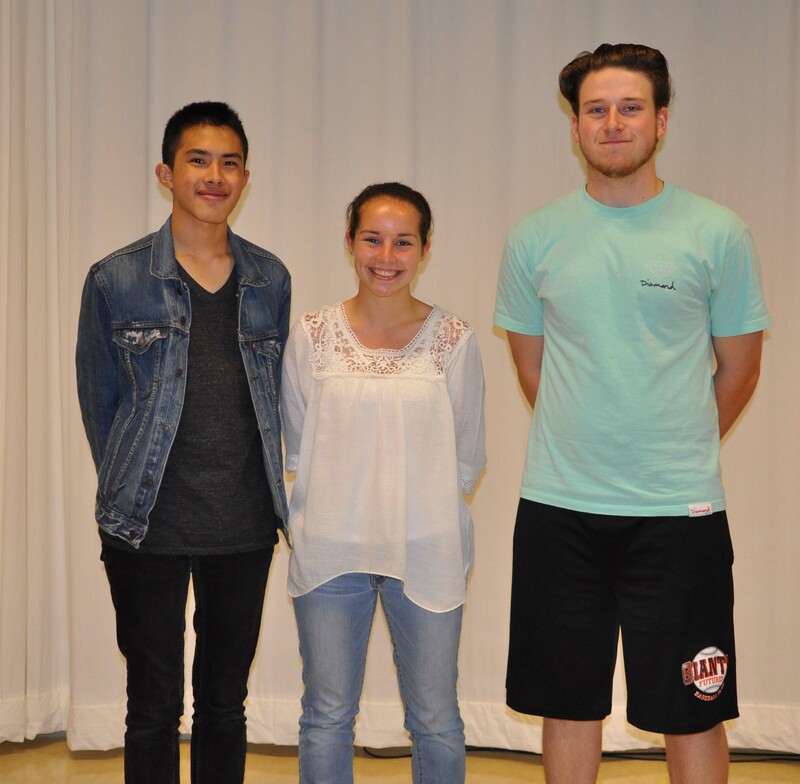 Left to right are seniors, Sean Vo, Sophie McLellan and Joe Taft. Eager to learn and contribute to the website and print editions of the Veritas are underclassmen editors: Jasmin Morse, Website editor; Shawna DeWolfe, photo editor; and Jayden Libby, entertainment editor. Jasmin Morse, Shawna DeWolfe and Jayden Libby.